*With approved credit. Estimated monthly payment based on $7,562 down, 72 months at 5.9% APR. Description *$11,495 in rebates available!! This includes $7500 federal tax credit, $2500 state rebate, $1,000 Southern California Edison rebate, and an additional $495 Southern California Edison rebate for any electric vehicle that includes a 220 volt upgrade! Not all consumers will qualify for all rebates, check local websites for qualifications. We take pride in the fact that Santa Barbara Nissan has been family owned and operated since 1998! Big town deals, with a small town feel ! Santa Barbara Nissan has made every effort to ensure accuracy in the information provided. Specifications, equipment, technical data, photographs and illustrations are based on information available at time of posting and are subject to change without notice. To receive or verify current product information, call 805-967-1130 Any prices listed on this site do not include tax, title and license fees. All units are subject to prior sale. Santa Barbara Nissan is not responsible for typographical errors in price or errors in description of condition of this vehicle's listed equipment, accessories, price or warranties. Any and all differences must be addressed prior to the sale of this vehicle. If its your dream to buy a new Nissan, we get it. Its hard to beat the amazing "new car smell." And having access to all the latest in automotive technologies is the best! Those are just a couple of reasons buyers love to purchase new Nissans. There are some other benefits to buying new that used car buyers simply dont get. New Nissan vehicles come with Nissans impressive warranty coverage, which can help to ease your mind. And new Nissan buyers get other incredible advantages like roadside assistance, complimentary satellite radio subscriptions, and a lot more. Another benefit – there was no previous owner who didnt take care of your new car! If you are searching for a new Nissan pickup truck, a Nissan SUV, or any other new Nissan model, we invite you to come to Santa Barbara Nissan to find what you are looking for. Buying a new Nissan, or any new car for that matter is a major decision. Thats why its so critical that you research any car or truck that interests you before signing on the dotted line. 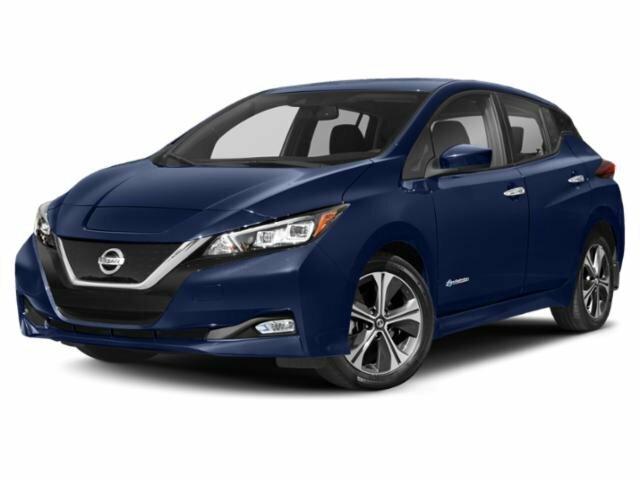 Santa Barbara Nissans website offers all of the information you need to buy the right new Nissan for your needs, whether thats the new Nissan Rogue, or another amazing new Nissan vehicle. After all, we want to make sure you are happy with your new car. Shop on our website and use our inventory page tools to find what you are looking for and get the important information you need. The left-side module on every inventory page offers plenty of search options to make things quicker and easier. Filter out the vehicles that dont meet your fuel economy requirements. Simply click a range in the Highway MPG section of the search module. Whether you are looking for a coupe, sedan, SUV, convertible, or any other body style, use the "Body" part of the search module to eliminate body types you dont want to consider. Another way to shop is by price range. Just click a price range to see cars and trucks that meet your price requirements. Shopping on the Santa Barbara Nissan website is a great way to find the relevant information you need very quickly. Just click an inventory listing to find out what you need to know about a vehicles features, options, transmission, color, engine, features, and a lot more. Every inventory listing gives you a Get Our Best Price button so you can get our lowest price online for the Nissan car or truck you want. If you have waited long enough to buy the new Nissan you want, take advantage of our online tools, forms, and options to speed the buying process. Do you have a trade-in car or truck? Learn how much its worth with our Value Your Trade tool. And when you are ready to finance a vehicle, get pre-approved for a car loan right here on our website. If you are looking for a Nissan dealership near you, make the trip to Santa Barbara Nissan or shop on our website now!